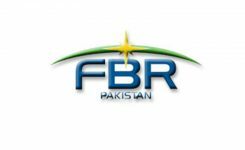 Federal Board of Revenue (FBR) Wednesday informed Prime Minister Imran Khan that the government has chalked out a comprehensive plan for restructuring of FBR and this strategy would be implemented in a phase-wise manner. The FBR team headed by FBR Chairman Mohammad Jehanzeb Khan and Minister of State on Revenue Muhammad Hammad Azhar briefed the Prime Minister here at the PM House. 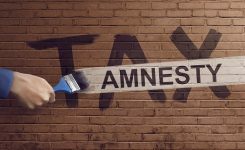 Tax authorities informed the Prime Minister that restructuring of the tax machinery would start in the next few weeks and in this regard, a comprehensive plan has been chalked out so that taxpayers are encouraged and economy of the country is promoted. They said that elimination of corruption from the tax machinery is among the top agenda of the restructuring of the FBR. To facilitate public, new website and facilitation desk are going to be established. For improving performance and ensuring transparency in the FBR, the Department of Internal Audit is going to be separated from the Bureau, the Prime Minister was told. Under the plan, the FBR has devised a strategy to promote tax culture in the country. The Prime Minister was briefed about the steps planned to encourage voluntary compliance and increase in number of filers of income tax returns and broadening of the tax base. The meeting was also briefed in detail about steps taken so far for bringing non-filers and tax-evaders under tax net, bringing improvements in FBR, meeting FBR’s human resource needs, eradication of corruption, increasing capabilities of tax authorities, bringing changes in tax system, monitoring of officials’ performance, feedback of taxpayers and simplifying taxpaying as well as bringing overall changes in the FBR’s culture. While addressing the meeting, the Prime Minister said that bringing reforms in the FBR is a significant part of the government agenda, adding that unfortunately the previous governments ignored such reforms as they never tried to strengthen the tax base. He said that previous regimes didn’t behave well with the business community, adding they kept tax system so complicated that people left relying on the FBR and the system; therefore, there is need to restore their confidence in this regard. The Prime Minister directed the FBR to focus on big tax evaders and bring non-filers under the tax net. Regarding benammi properties, he said that process of completion of Benami rules be completed forthwith. He said that in the past the people, especially the business community, were harassed by tax officials and money collected through taxes was spent on the luxurious life style of the rulers. Due to which the confidence of people from tax and FBR has shaken. “That confidence needs to be restored,” he maintained. 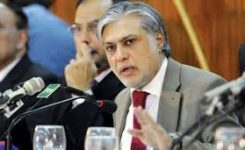 Tax authorities informed the Prime Minister that the FBR has already established Automatic Exchange of Information (AEOI) Data Centre for exchange of financial information under Multilateral Competent Authority Agreements with other tax jurisdictions under the Organization of Economic Cooperation and Development (OECD) model. 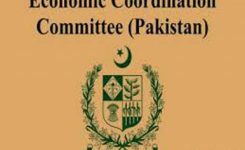 The FBR has established six Automatic Exchange of Information Zones including Commissioner Inland Revenue, AEOI Zone, Peshawar; Commissioner Inland Revenue, AEOI Zone, Islamabad; Commissioner Inland Revenue, AEOI Zone, Lahore; Commissioner Inland Revenue, AEOI Zone, Multan; Commissioner Inland Revenue, AEOI Zone, Karachi; and Commissioner Inland Revenue, AEOI Zone, Quetta, sources added. The Prime Minister was informed the FBR is empowered to raise immediate demand and effect recovery on provisional basis in case of government confiscated local assets under Section 123 of the Income Tax Ordinance. The scope of this Section is proposed to be extended to discovery of undeclared offshore assets through the current Finance Bill. Now the demand and recovery of tax on such persons can be executed immediately after receipt of information in suitable cases. 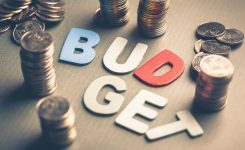 The measure is necessary to enable FBR to recover tax provisionally before the money moves out of bank accounts and regular proceedings, which take a lot of time. 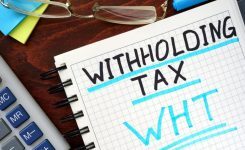 The FBR has further said that it can also request assistance in recovery of such taxes from foreign jurisdictions wherever it has bilateral and multilateral agreements. This will ensure that FBR can request freeze of offshore accounts to other countries by conveying demand to such countries. 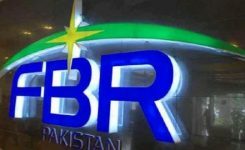 The FBR is already in possession of information of bank accounts of Pakistanis from 26 countries and this provision will enable FBR to move swiftly in the direction of taxing people holding offshore assets.